The National Museum of Modern and Contemporary Art in Cheongju, South Korea. The National Museum of Modern and Contemporary Art (MMCA) in South Korea has opened its fourth venue, in Cheongju in the North Chungcheong Province. The new outpost is situated on the 215,000-square-foot site of a historic tobacco factory that was operational from 1946 to 2004. The former industrial complex was purchased by the government for $31 million and was transformed into a five-story exhibition space that will house some 11,000 artworks. 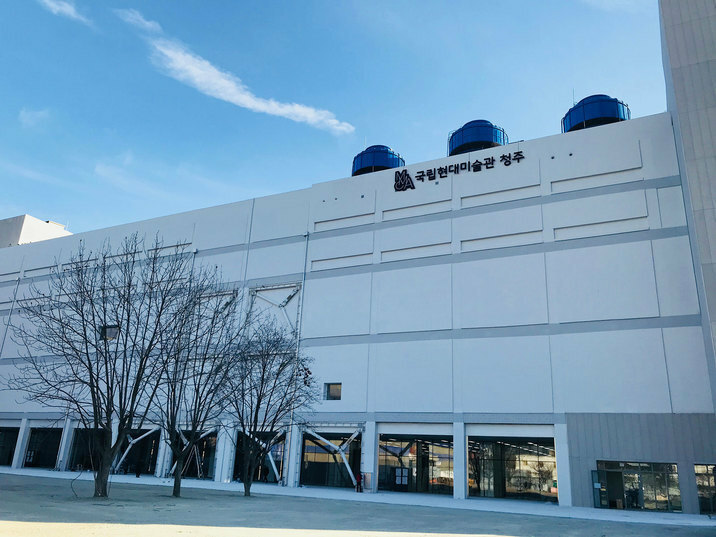 The museum began transferring part of its modern and contemporary art collection from its other locations in Seoul, Deoksugung, and Gwacheon to the building last month. A director of the new institution has yet to be announced. Its first floor serves as an open storage area, where sculptures and large works are displayed. The second, third, and fourth floors feature additional visible storage, as well as conservation facilities and visitor areas. The fifth floor boasts of a special exhibition hall, where the museum’s inaugural exhibition, “A Day for Counting Stars: The Story of You and Me,” is currently on view. Showcasing twenty-three works by fifteen artists, including Kang Ikjoong, Kim Sooja, and Jung Yeondoo, the show will run through June 16. In the second half of 2019, the museum will also open an area on the third floor, which it is calling the Larchiveum. Comprising a library, an archive, and an exhibition space, the Larchiveum will be a research hub, where the MMCA’s publications and other materials will be housed. The institution will also use the space to present educational initiatives.